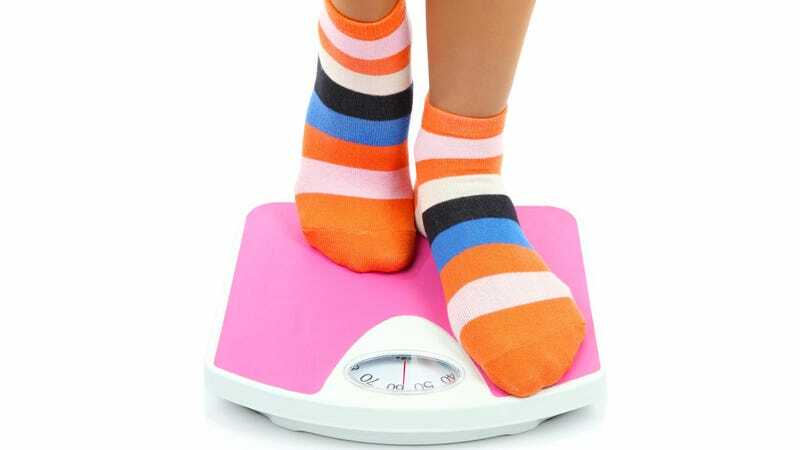 Today in America's Holy War on Obesity, teenagers who "beat" fatness and manage to become thin (MISSION ACCOMPLISHED BANNER) are at a significant risk of developing eating disorders and unlikely to have those disorders diagnosed. Because, hey, thinness is the goal—not health. Thinness is everything, thinness is the be-all and end-all, and thinness signifies health whether actual health is achieved or not. Sure, you might be starving to death, but at least the public doesn't have to look at your big thighs anymore! WORTH IT. That is the consequence (or, one consequence) of erroneously using body size as a measure of health. Harmfully restrictive eating patterns are considered "disordered" in naturally thin people, but in fat people they're a civic duty. They're "willpower." They're "caring about your body." Great work, War on Obesity. You're totally "winning." LOOK HOW HEALTHY EVERYONE IS NOW. For the billionth time, how about we just treat fat people like human beings? How about public health campaigns focus on health for all people, regardless of aesthetic standards? How about we let fat people love their bodies instead of telling them to torture their bodies every day of their lives? "Health" isn't one-dimensional. Mental health is health. Not having dizzy spells and hair loss and missed periods and chest pain and impaired concentration is health. That fat teenager you're telling to "put down the fork" in the name of "health" might actually be anorexic. And if that's your version of health, then you have zero business commenting on mine.